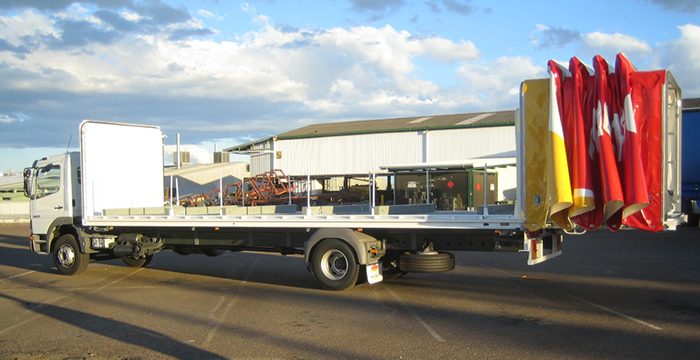 The Haulmark Prairie Wagon has been developed from the ground up , by doing so this has provided a specialised custom built trailer that incorporates the traditional Haulmark Flat top characteristics with the best design in weatherproofing the load safely from the ground by one person all in two minutes . The Haulmark Prairie Wagon provides excellent weatherproofing characteristics while at the same time allows full overhead and side loading and unloading capability. 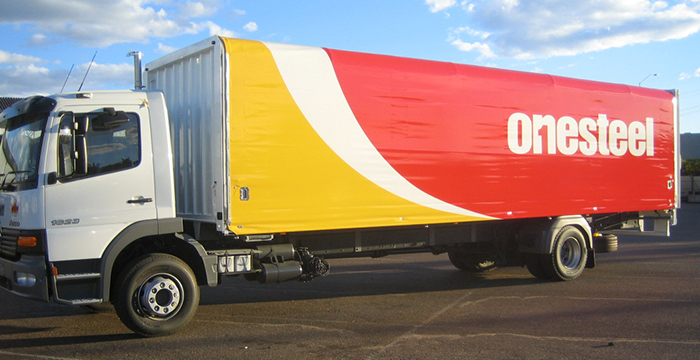 The Prairie Wagon is ideally suited to the cartage of product that requires weatherproofing and is overhead loaded such as steel coil and sheet. 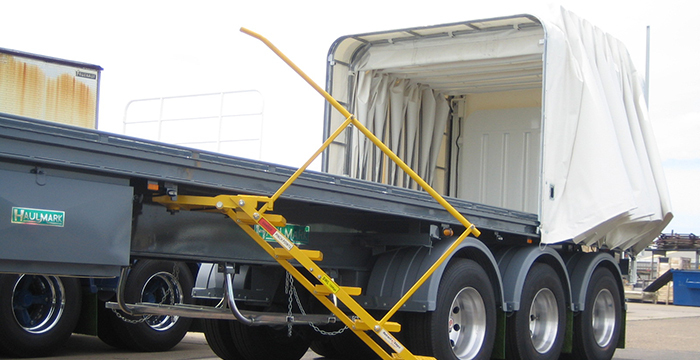 The canopy can be retracted either within the trailer length or alternatively onto a rear laydown frame so as to provide total clear overhead loading to the entire length of the trailer deck. 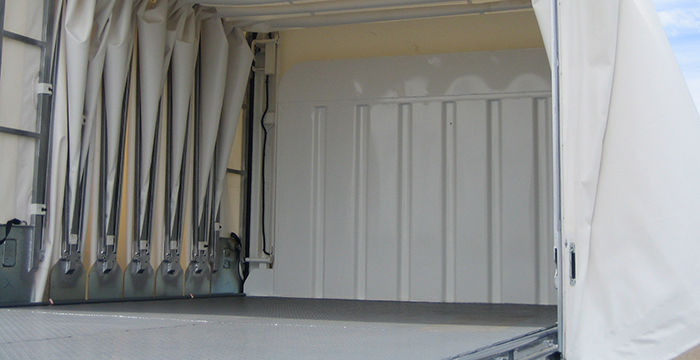 The Haulmark Prairie Wagon if required can have Load Restraint rated tie downs located in the floor of the trailer so as to comply with the relevant Load Restraint requirements. 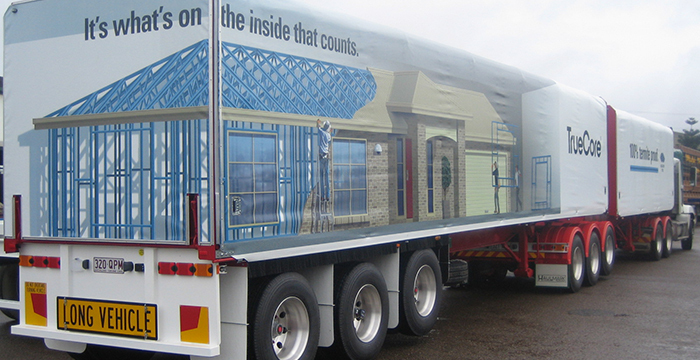 The entire operation of the Haulmark Prairie Wagon has been designed around an efficient and safe operation by one person from the ground.